The U.S. State Department offers an alternative to using a passport to travel between the U.S. and the Caribbean, Bermuda, Mexico and Canada: the U.S. Passport Card. The card is billed as a cheaper, smaller and more convenient alternative to carrying a passport when traveling to these destinations by land or sea. Many travelers will still want to apply for a full passport, however, since the Passport Card is invalid for international air travel. First, determine whether a full passport or the Passport Card meets your travel needs. If you are traveling to the Caribbean, Bermuda, Mexico or Canada by sea or land, and do so more than occasionally, the Passport Card may be right for you. If you are traveling internationally by air, however, you will need a real passport. 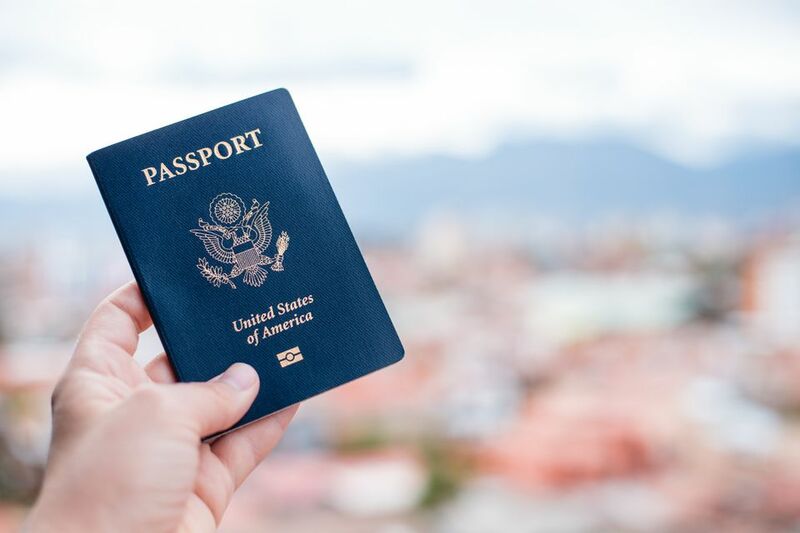 (Note: No passport or passport card is required to travel to overseas U.S. possessions and territories, like Puerto Rico or the U.S. Virgin Islands). Gather the information and documents you will need to apply for a passport or Passport Card: the requirements are the same for both. Applicants will need proof of U.S. citizenship and identity, such as birth certificates or naturalization certificates (original, certified copies with raised seal must be submitted). You'll also need two 2x2-inch passport photos and the application and execution fees. If you already have a valid passport, you can submit it to apply for a Passport Card, and vice-versa. Complete the application form(s) for the passport and/or Passport Card BEFORE bringing them to an Application Acceptance Facility for submission. However, don't sign the form until you are in front of a passport agent. The application form for a new passport or Passport Card is DS-11. The form for renewing a passport or Passport Card is DS-82. Both forms are available for download on the State Department's Passport website. Applications for a passport or Passport Card may be submitted at any of 9,300 Passport Application Acceptance Facilities, which typically include U.S. Post Offices, town halls, and courthouses. Application must be made in person (renewals can be done by mail). Thirteen regional passport agencies and a Gateway City Agency process urgent applications, by appointment, for travelers who need to travel within two weeks. Your passport or Passport Card will arrive by mail in approximately four weeks. However, you can get your passport or Passport Card back in two weeks if you pay for expedited service, which costs an extra $60. If you need to get your passport within two weeks, you'll need to make an appointment at a regional passport agency to apply. There is no fee for making an appointment. Both the passport and Passport Card are valid for 10 years for adults, 5 years for minors. A U.S. Passport is 5x3-1/2 inches, while the Passport Card is wallet-sized. What Travel Documents Will Are Needed for Your Caribbean Vacation? Do I need a passport to take a Caribbean cruise?